Grab your pole, your gear and your lucky hat. 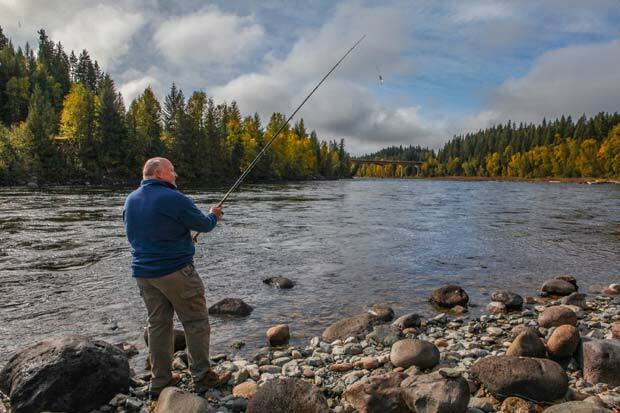 It’s time to experience year-round fishing in the North Thompson Valley. Marvel at the salmon runs. You can enjoy a peaceful day on calm lakes or cast into a wild river. Should you be up for a little competition there are also derbies. 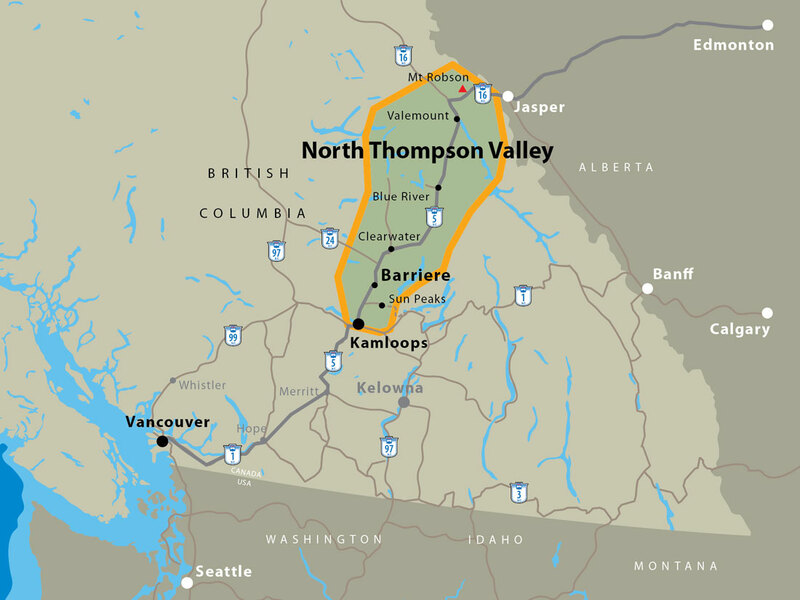 There’s one in June in Barriere and one in September in Valemount. When the snow flies that means it’s time for ice-fishing. Just ask the locals where the best spot is to cut a hole in the ice and catch the big one. 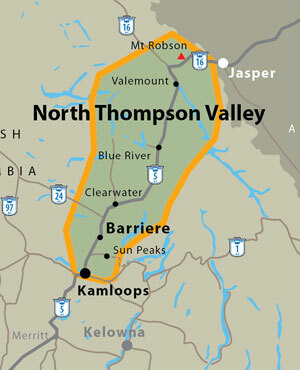 Barriere and the Lower North Thompson has the largest fishing area in the North Thompson Valley. It’s also home to the famous Fishing Highway, also known as Hwy. 24. Go trolling, spin casting, fly fishing and ice fishing to your heart’s content. 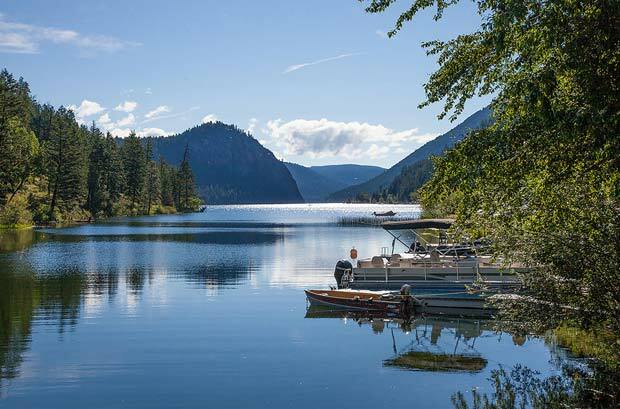 There are over 100 lakes in the area with rainbow trout, Kokanee and Coho salmon, the fighting Kamloops trout, whitefish, white sturgeon and some steelhead. Treat yourself to a relaxing day on the North Thompson and South Thompson Rivers. 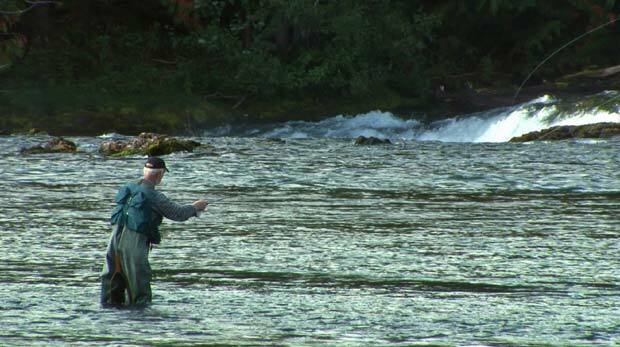 For those who want a remote fishing experience, fly or take a boat to the Caverhill Fly Fishing Lodge. Gorman Lake and North Barriere Lake are great lakes for rainbow trout. Spruce Wilderness Lodge on Bonaparte Lake is a great place to create your fish tales. Don’t have a boat? Not to worry you can rent boats at Knouff Lake Resort. 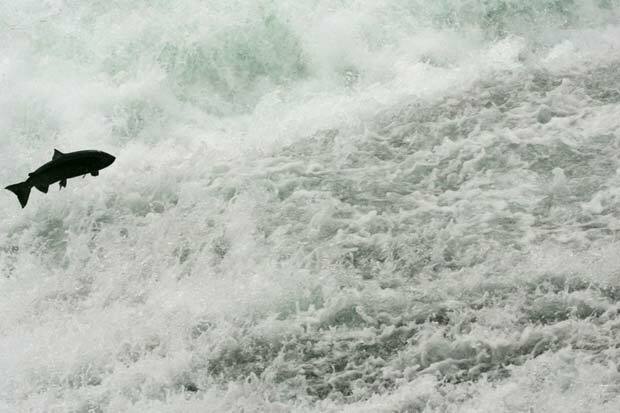 While you’re in the area from late September to late October, head over to Roderick Haig –Brown Provincial Park for the yearly Salmon Run, the largest in North America. Sun Peaks offers professionally guided fly fishing trips throughout the Sun Peaks area. Spend the day with a fly fishing guide on an adventure made specifically for you. All equipment is provided as is transportation to and from the lake. 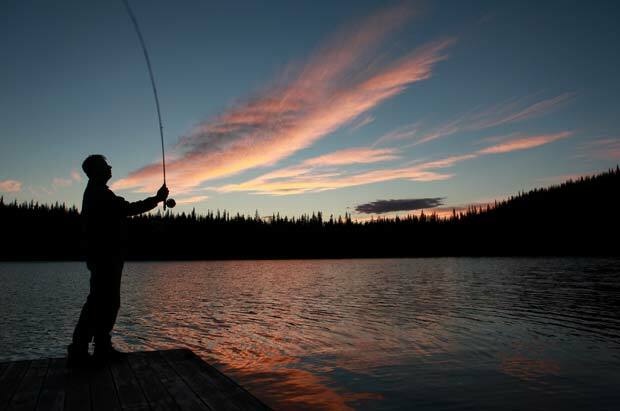 Clearwater and Wells Gray Park offer you ultimate angling experiences. They have freshwater lakes and rivers just waiting for you to get here. There are over 50 lakes within a one hour drive of Clearwater. Try your hand at fly-fishing from the Dragon’s Tongue at Clearwater Lake’s Osprey Falls or near the waterfall on Azure Lake. Drag a fly on Alice or Shadow Lake. There are some great catch and release spots on the Clearwater River around Bailey’s Chute and the Horseshoe. Try trolling on the north end of Clearwater Lake, west end of Azure, and around Rainbow Falls. Fish from your canoe or from shore. 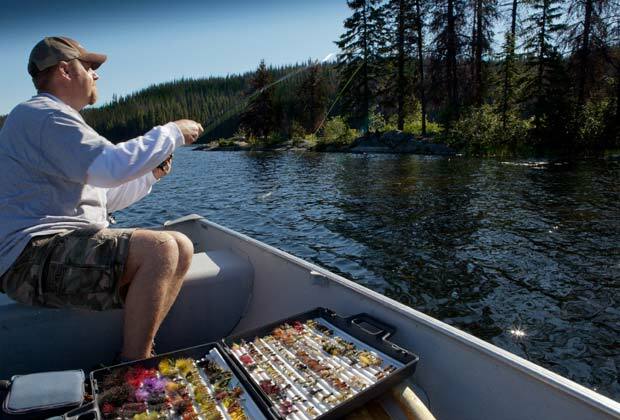 Closer to town, try drift boat fly fishing on the Clearwater and North Thompson Rivers. The Clearwater Trout Hatchery will let you learn about the lifecycle of fish. You can borrow a rod from the Hatchery and try your luck at Dutch Lake. Ask the local fly shops, boat tour folks and marine patrols what’s biting and where for a great fishing experience. Blue River is the gateway to the remote bays of Murtle Lake, North America’s largest paddle only lake. It’s here where you can cast your line and catch trophy worthy rainbow trout weighing up to 3 kg (7 lb). No gear, no worries. You can rent canoes, carts and fishing gear at the Blue River Campground. Find out from the locals where the best spots are to catch a Dolly Varden trout, rainbow trout or a BC salmon. It could be a quiet creek, under a bridge, a hidden river or an unmarked fishing hole. Angle away in the Blue, Mud, and North Thompson Rivers. Favourite lakes include Angus Horn, Mystery Lake, Blue and Twin Lakes. Is there anything more exhilarating than hooking a big one and reeling it in? If you agree, then you need to get your gear and check out the angling options available in Valemount and area. Throw in your line and you could find species like bull trout, rocky mountain white fish, rainbow trout, burbot or kokanee. 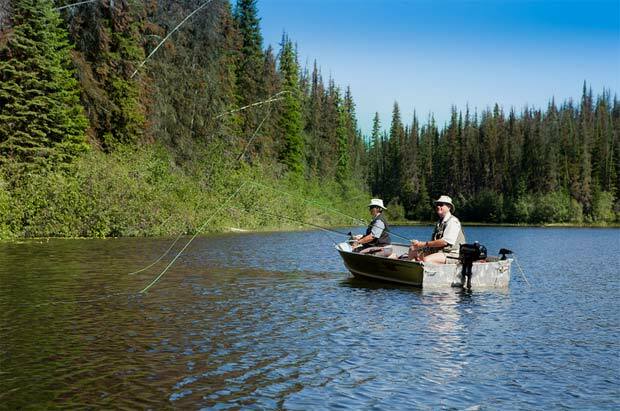 The Fraser, Thompson and Canoe Rivers offer a variety of fishing in the Valemount Area. To the east Moose, Whitney and Lucerne Lakes are great options as well. Shere Lake has good access for canoes, small aluminum and belly boats. Ice fishing is good here; just be aware of ice conditions and road access in the winter can be limited. Kinbasket Lake is a wonderful place for boat fishing and creek fishing with all the amenities including camping at recreational sites and a small marina. We’ve got you covered when it comes to where to stay and where to get tackle and licenses. There are even places where you can rent boats for your fishing adventure. Choose from a family friendly resort or a remote fishing camp. Below is a partial list of fishing lodges and resorts in the area. One of the best tackle shacks in the North Thompson is the Little Fort Fly Shop at the junction of Hwy. 5 and 24 in Little Fort. Think local knowledge. This is the only shop in the area dedicated to just fishing. Fishing tackle (and usually licenses) can also be purchased in Clearwater and Valemount Home Hardware, Greffards and Greenscapes and at Super Save Gas. In Blue River, the supermarket has some fishing related items. 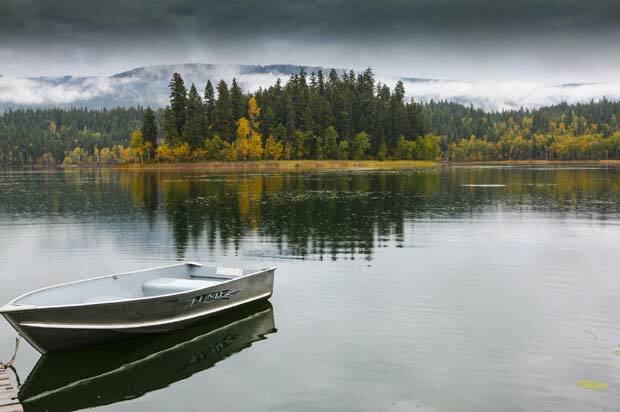 Everyone who fishes or operates a motor boat in BC requires a fishing license and Pleasure Craft Operating Card (PCOC). Not to worry though, you can purchase licenses locally and online, and you can get your PCOC online too! 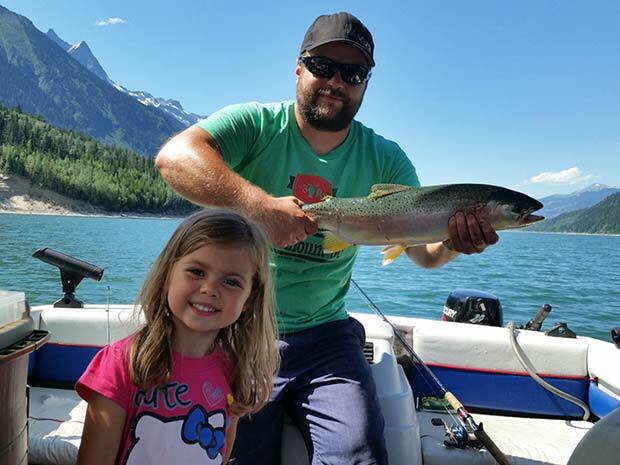 Fishing licenses can be purchased online, at Service BC, at the Valemount Visitor Centre and at various retail outlets throughout the region. Visit Fishing BC for more information. You can get free Internet service at the Shell gas station on Highway 5 in Clearwater, and at the Clearwater and Blue River public libraries. Boaters need to be alert to the boating restrictions in some lakes and a Pleasure Craft Operator Card boating license (PCOC) is required if you are operating a motorized boat in Canada. A PCOC proves that you have acquired the knowledge to safely operate a motorized boat on Canada’s waterways. Boaters can get their Pleasure Craft Operator Card (PCOC) by successfully passing a Transport Canada Accredited, multiple-choice exam.